*"A sure winner for any reader with a yen to become permanently terrified. Brilliant." 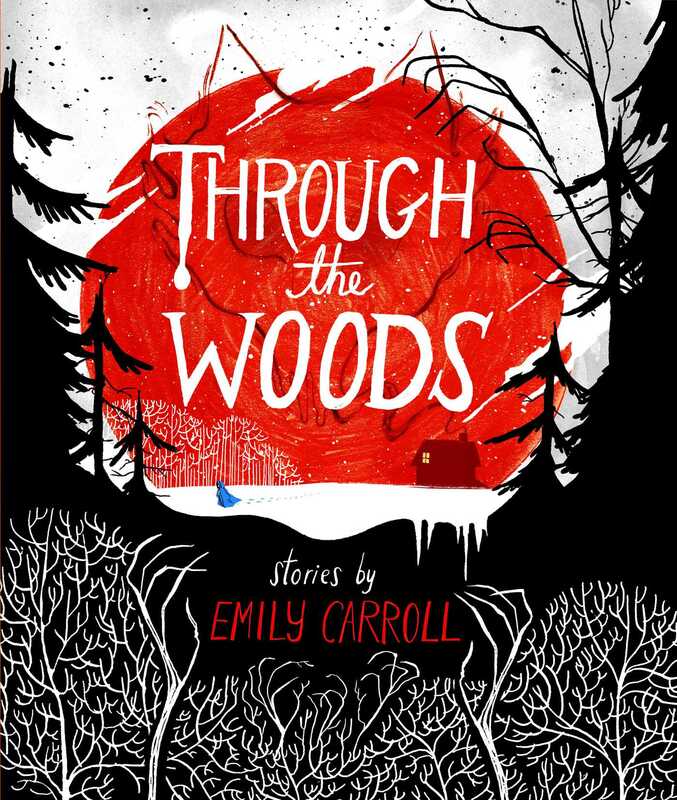 "Emily Carroll's Through the Woods mesmerizes and inspires; a Victorian gothic playground haunted by Mary Shelley & Edward Gorey, awash in the dream-like haze of Odilon Redon, and composed with the poetic elegance of Ukiyo-e. I loved it." "Through the Woods is a triumph, it's gorgeous, soft and bright, and it is dark, earthy and spin-chilling. [Emily Carroll] should be recognized as one of the best graphic storytellers out there." "Through the Woods will dazzle you, seduce you, amaze you, delight and frighten and enchant you. What a talent. What a voice." "This book is full of gorgeous, terrifying tales of mysterious wooded misadventures that creep right into your brain and seduce you." "Stunning, magical. Hauntingly gothic...[Through the Woods] made me feel like a child again, reading grim fairy tales." "Beautiful, beguiling, and thrillingly eerie." "Through the Woods is an uncanny wonder. This haunting collection of visual stories, part Stephen King and part Edgar Allen Poe, is a special kind of quiet horror." – John Hendrix, winner of the Society of Illustrators of Los Angeles Best of Show Award. *"It is [Carroll’s] eerie illustrations—popping with bold color on black, glossy pages—that masterfully build terrifying tension and a keep-the-lights-on atmosphere." *"This is a beautifully rendered but deeply chilling collection of vignettes that will be most appreciated by teens and adults who are fans of fairy tales, horror, and the things that hide in the dark. A delight for Edgar Allan Poe and Alvin Schwartz enthusiasts." "Carroll makes the woods of the title entirely her own, a metaphor for the danger that lurks and snarls outside the door, but which entices us outside, nevertheless." "Canadian comics writer Emily Carroll has produced a graphic debut that blends the gothic strangeness of Tim Burton with the macabre illustrations of Edward Gorey to create a wonderfully chilling collection of tales...Eschewing neat endings, Carroll leaves lingering questions: how much is real and how much imagination? Is the haunting just guilt, grief, loneliness, psychosis or something supernatural? Her eerie tales will haunt you." "Oh holy hell—Emily Carroll's horror comic collection Through The Woods is so freaking spooky... Each little horror comic is so creepy and absolutely gorgeous.... So turn off all the lights and curl up for a good chill."